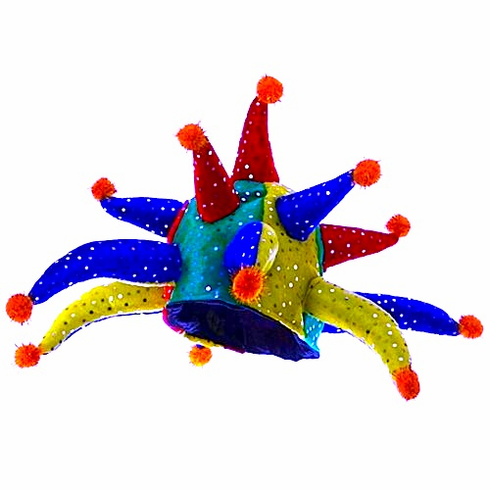 This 13 horned Jester hat is sure to inspire laughter. To be donned by the best and wittiest of people! One size fits most.